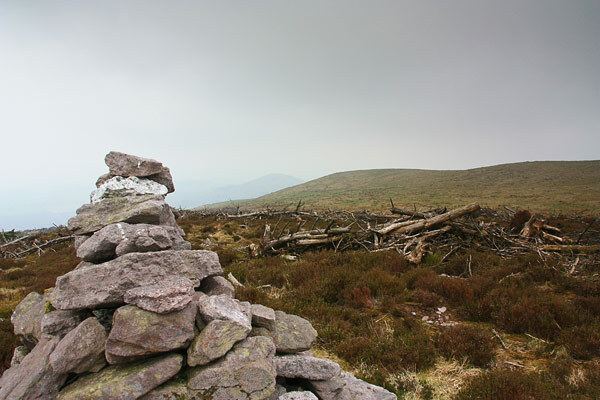 Picture from simon3 : Summit cairn of Broemountain. Picture: Summit cairn of Broemountain. Good viewing potential and easily reached. Broemountain is well positioned to give interesting views due to its location and because is has recently been clear-felled. You can reach it from the forest entrance at S13175 06653 A where there is a place to park a few cars.